Men's X 15.2 Firm/Artificial Ground BootsBe unpredictable. 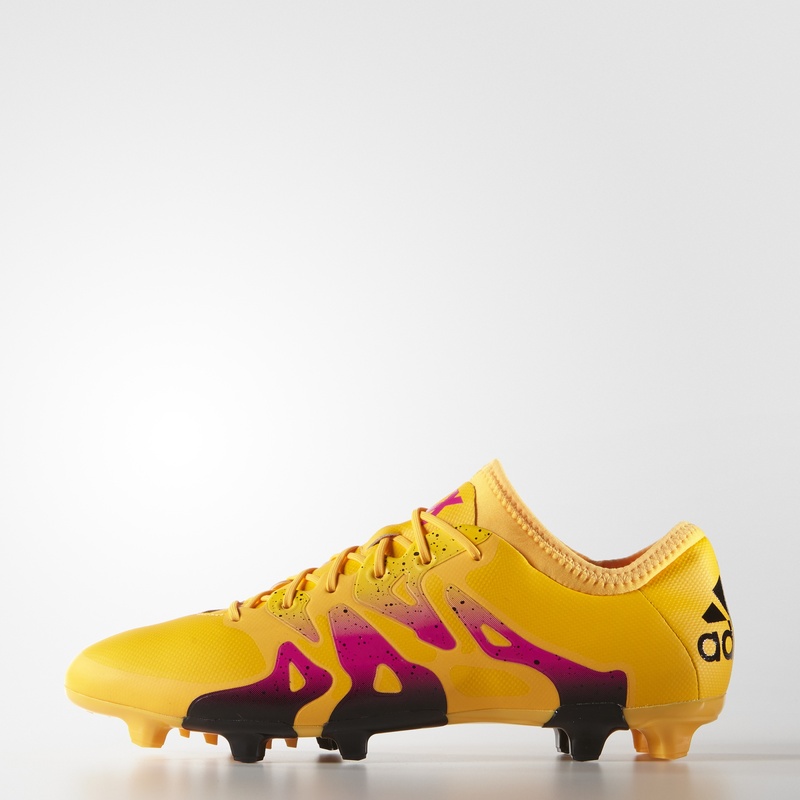 These men's football boots are for the player who disrupts the game and conjures plays out of nowhere. The soft synthetic upper features a NON STOP GRIP (NSG) texture that keeps the ball where you need it. X-CAGE midfoot reinforcement gives you stability without extra weight.Soft, close-fitting synthetic skin upperReinforced cage for gamechanging stabilityNON STOP GRIP (NSG) adds texture to the upper for incredible touchRevolutionary X-CLAW stud configuration allows for quicker cuts and greater accelerationTraction outsole designed for explosive movement on firm and artificial ground.